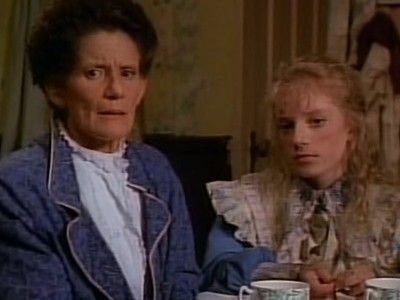 Here's where to watch every episode of Road to Avonlea season 3. Mouseover or tap an episode to see where to stream it. Click or tap the play icon to stream it on the best available service. Felix and Blackie Jan 19, 1992 Alec wants to sell Blackie, an aging farm horse and somewhat of a pet of Felix, after he purchases a new horse. Felix won't hear of it and decides to start a delivery business, with Sara's help, to pay for Blackie's feed. Felix is teased by the local business men and makes a foolish wager. This causes heartbreak for young Felix, and then a new beginning. 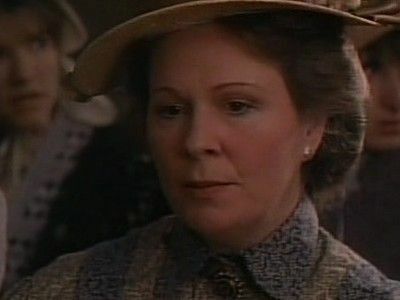 Another Point of View (aka Facts and Fictions) Jan 26, 1992 aka ""Another Point of View"" Alec is elected to the school board, and Hetty feels that she is being unfairly criticized so she quits her job as schoolmistress in Avonlea. Her replacement is Alistair Dimple, an impoverished actor, pretending to be a teacher. Alistair inspires the students to learn by doing role-playing and, in turn, inspires Hefty to write a book about the island. 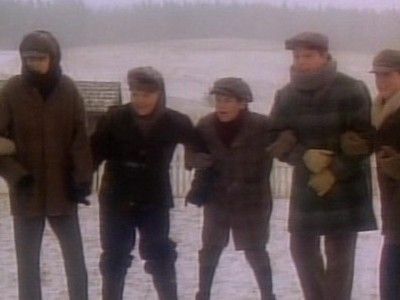 Alec finds out Dimples ""identity"", but keeps quiet as Avonlea school battles it out for the History Championship competition against rival Carmody. 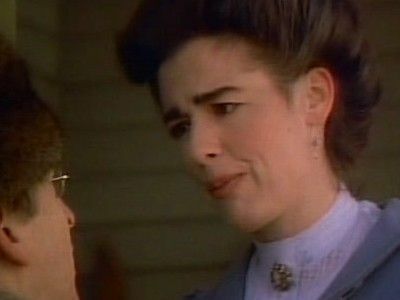 But When She Was Bad... She Was Horrid (2) Feb 9, 1992 Back in Avonlea, Jo Pitts is wreaking havoc with Hetty, who believes that ""Sara"" has become deranged. When Jo decides she has had enough of Hetty, she decides to drown her. 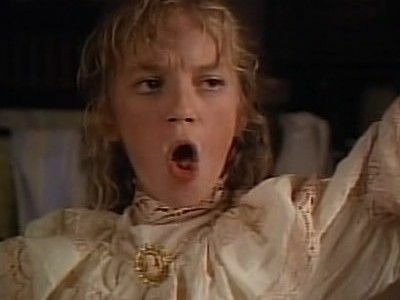 Sara and Gus escape the gang of theives, who are run by Abe Pike, and sail back to Avonlea just in time to stop Jo from robbing the town blind. Gus offers the King women some advice on how to handle Jo, and she is offered a home with Sara and Hetty at Rose Cottage. However, Jo decides to take her fate into her own hands and leaves town. 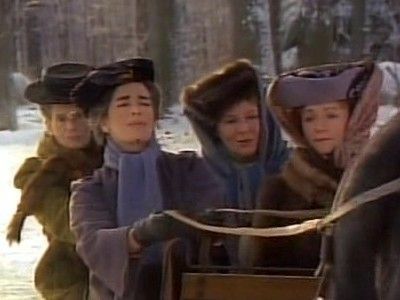 Aunt Janet's Rebellion Feb 16, 1992 The Womens Suffrage Movement comes to Avonlea, and after hearing a suffragette speak, Janet decides to get a petition signed asking for women to have the right to vote. Her zeal causes problems at home and problems at the McCorkindale cannery when she tries to get them better wages. When her efforts finally land her in jail, Alec regrets not helping Janet with her petition and gets Hetty and many others in town to sign. The cannery workers are then given a pay raise, because of Janet's efforts and Mrs. McCorkindale's practicality. A Dark and Stormy Night Feb 23, 1992 It is a dark and stormy night when Gus falls under the spell of beautiful Amanda Stone, much to Felicity's chagrin. 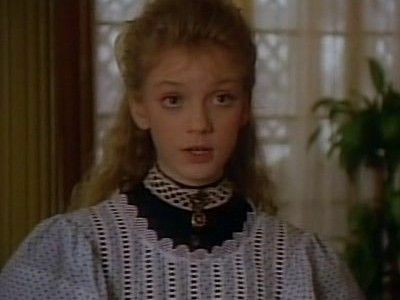 Robert Rutherford arrives in Avonlea, on Amanda's very heels, and claims the gems Amanda left in safe keeping with Gus are stolen. Gus, smitten with Amanda, refuses to believe Rutherford's claims, however Felicity smells a rat in fine french perfume. The town's people hear about Gus's gems and begin to treat him differently. Then a series of events causes Gus and Felix to be thrown in jail and Gus sets out to find the truth. Friends and Relations Mar 1, 1992 Sisters Janet and Abilgail, and Olivia and Hetty, spend the day at an auction, and the men, Jasper, Alec and Felix, all go ice fishing. Before the afternoon is over the women are not on speaking terms. Alec, Gus and Jasper try to deal with questions from Felix on ""life"" and ""women and men, together"". Gus talks to Jasper about what it feels like to be in love. 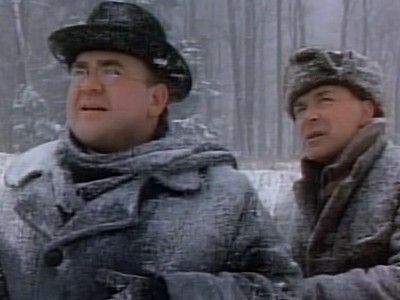 The day ends with the women out looking for Abigail's son Lucky, whom they believe is out lost in a snow storm and the men go looking for the women. A joyous reunion takes place in the woods, before they all retire to the King Farm for warmth and renewed feeling for each other, and Jasper makes a toast, to friends...and relations. Vows of Silence (aka True Confessions) Mar 8, 1992 aka ""Vows of Silence"" The new minister in town, gives a 'hell-fire-and-brimstone' sermon which convinces the children that the world is coming to an end. The adults have no idea that the children have taken the sermon so seriously. The children go to the lighthouse, prepared to confess their sins, and hope this will save the world. A lunar eclipse convinces them the end is nigh...and Felix's confession almost makes Felicity put an end to him. After the Honeymoon Mar 15, 1992 Jasper Dale is studying bats, and Olivia feels inadequate by not being able to help with his work. A woman scientist comes to help and is smitten with Jasper. Hetty tutors Olivia in science, but it seems that Jasper loves her for her special skills, and not for the scientific knowledge she gains. Sydney Carver, the scientist leaves after ""making a fool of herself"" over Jasper. High Society Mar 22, 1992 Felicity is invited to Kingsport Ladies College, because of her academic excellence. Once there,she is intimidated by the other girl's worldliness, so she lies and pretends that she is Sara's rich sister, using the story's of Sara's life. Gus, worries that he is losing Felicity, and decides that if ""good manners and breeding "" are important, he is going to get them. Sara and Pierre further Gus's education. Felicity has to face her parents with her lies, and learns a lesson in humility. 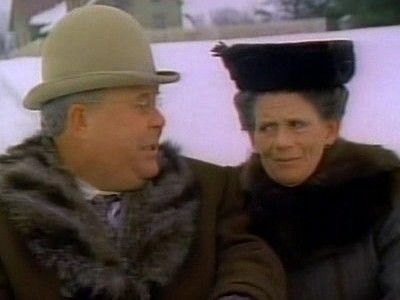 The Calamitious Courting of Hetty King Mar 29, 1992 Wally Higgins, an ice skate salesman visiting Avonlea decides that Hetty is the perfect woman for him, she has the perfect sized feet. Wellington Campbell decides that part of the King property is his. Now Hetty works to keep both her freedom and her land. Felicity expects Gus to take her to the skating party and he has yet to ask her to go with him, but he is too proud to admit that he has no skates. When he confides this to Sara, she gives him a pair, but Gus doesn't know how to skate! 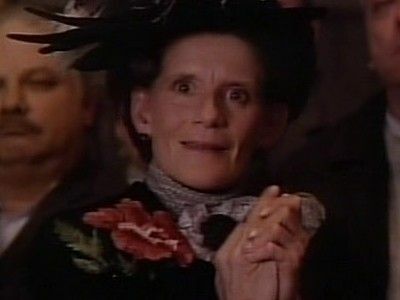 Old Friends, Old Wounds Apr 5, 1992 It is heartbreak at Green Gables when Marilla Cuthbert dies suddenly, and leaves no will. The assumption is that Anne would always inherit Green Gables from the Cuthberts. 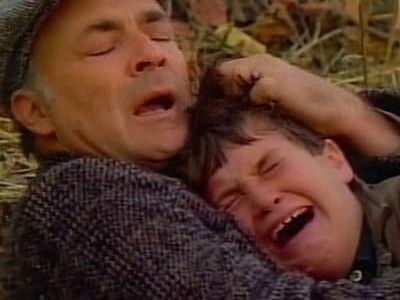 When Gilbert Blythe arrives in Avonlea and tries to buy Green Gables it is too late, one of the neighbors has bought it. Rachel Lynde and the children are now homeless, unless Rachel can make friends with the new owner. A man who ""hates"" Rachel. Rachel has to learn to ""mind her tongue"" if she wants a to continue to live at Green Gables.